Prince William Forest Park was established in 1936 and is located in Triangle, Virginia. It is the largest protected natural area in the Washington, D.C. metropolitan region at over 19,000 acres. 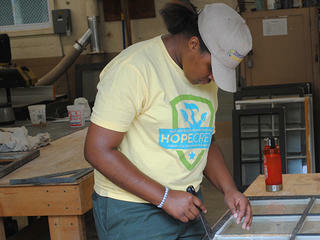 Through the Trust's HOPE Crew program, members of the Citizens Conservation Corps of West Virginia learned a variety of preservation skills as they worked to tackle two separate preservation projects at the park. 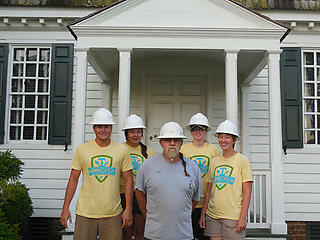 One was the restoration of 400 windows from the numerous structures comprising the park's historic Cabin Camp 4. The second focused on masonry repairs to the stone chimney within the structure in Cabin Camp 2.